For years, all you heard about eggs was that they were “linked with” heart disease. Keep consumption to a few eggs per week and dietary cholesterol to less than 300 mg. per day. 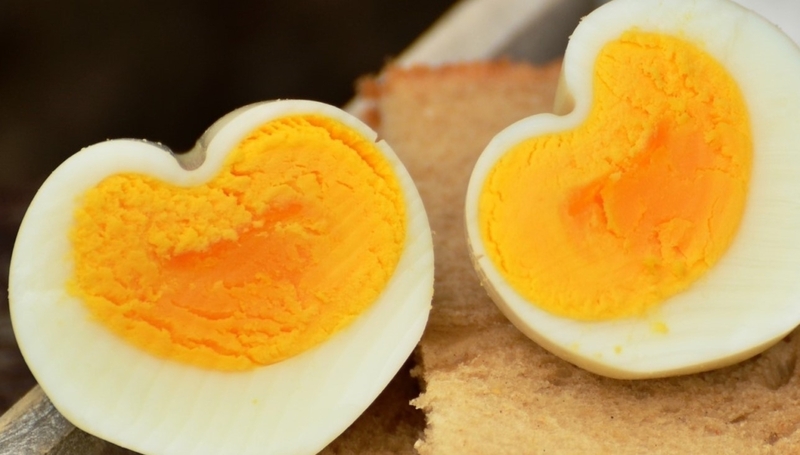 Since one egg has about 185 mg of cholesterol, you really had to be careful how you spent those 300 mg.
Then, research found saturated fat to be riskier for heart disease than dietary cholesterol, but the egg damage was done. Finally, the 2015 US Dietary Guideline for Americans finally dropped it’s 300 mg/day cholesterol limit. Eureka! Progress! Eggs Are Back! Give up omelets? Say it ain’t so! They looked at 6 different populations or “cohorts”, covering a 17-year period, on average. They calculated hazard ratios (HR) and absolute risk difference (ARD) for cardiovascular-related deaths and all-cause mortality. They say that, for every 300 mg of cholesterol you eat, your chances of dying from heart disease in 17 years (assuming you’re over 50) are increased by about 17% and your chances of dying of anything at all are increased by about 18%. But the average consumption of both eggs and dietary cholesterol was modest. Even the cohort with the highest consumption of eggs ate only 0.42 eggs/day – less than 3 eggs per week! Average dietary cholesterol intake was: 240 mg/day – well under the previously recommended 300 mg/day. Turns out that, in this study, cholesterol become the issue, not eggs, but even when you just look at cholesterol, it’s important to hear the study’s “noise”. “Associations” and “linked-to” don’t CAUSE anything. Anytime, and I mean ANYTIME you hear about a study that shows a food is “linked to” or “associated with” a disease or condition, it does NOT indicate the food CAUSES that condition, yet journalists often don’t get this concept. These “Observational” studies are incapable of doing anything more than generating a hypothesis. All the dietary data came from a SINGLE dietary report, and a self-report at that. That’s like asking thousands of people about their diets on one day, and track how many die in 17 years. Then draw conclusions about their deaths based on what they ate on that single day. Different dietary survey methods were used, so there was no uniformity of measurement. To deal with that, the authors use a lot of statistical methods that “harmonize” the data and supposedly give you a better picture. All methods still involved self-reports however. Poorly surveying a large number of people doesn’t make data more reliable, no matter how you “harmonize” the data. In this study, it still means 29,000 people were poorly surveyed. This study assumes a stable diet and lifestyle for 17 years, and that’s unrealistic. No matter how many statistical tests you do, or how much “statistical significance” you find, no one – but no one – has that kind of stability for 17 years. Who knows what other lifestyle factors that evolved during the 17-years after the original dietary data were taken? The authors do not, and the study cannot tell anything about what influence such factors might have had. The egg has nourished people for thousands of years. It has the highest quality protein of any food (it’s neck-and-neck with dairy), and critical, hard-to-get nutrients like vitamin D and choline. Eggs also have the antioxidants lutein and zeaxanthin, known to help reduce the risk of age-related macular degeneration. And they’re actually low in saturated fat. Pair your eggs with other good foods. Scramble or fry them in olive oil, have them with fresh fruit and whole-grain toast. It’s breakfast, but also lunch or dinner. Balance it! Greek yogurt with that fruit will round out the meal, or combine them in a smoothie as a beverage with those eggs. I keep hard-cooked eggs in my fridge as a high-protein snack. Spread them with some Dijon mustard or hummus and keep hunger pangs away. The Easter bunny can rest easily. Did Your Child Eat 90 Cups of Strawberries This Morning? Got a Salty Tongue? New Study Says It’s Not So Bad!